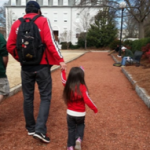 Preschoolers have a lot of energy and need to be active every day. Did you know they especially benefit from playing with their parents and caregivers? 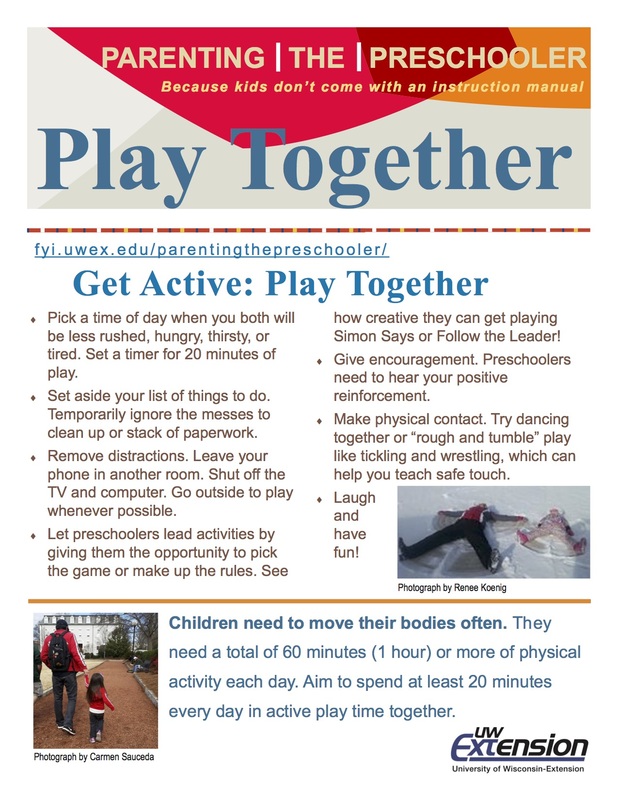 In this fact sheet, the many benefits of playing together are explained and tips for fitting active play into daily life are provided. Buhai Haas, C. (1987). 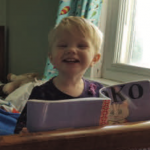 Look at me: Creative learning activities for babies and toddlers. Chicago, IL: Chicago Review Press Inc.
DeBenedict, A. T. & Cohen, L. J. (2010). The art of roughhousing: Good old-fashioned horseplay and why every kid needs it. Philadelphia, PA: Quirk Books. Illsley Clarke, J. (1999). 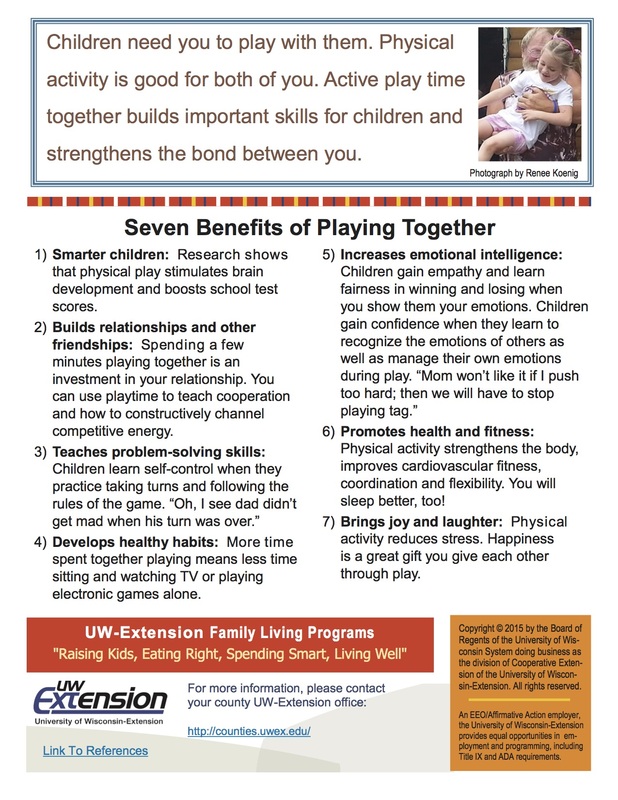 Connections: The threads that strengthen families. Center City, MN: Hazelden.